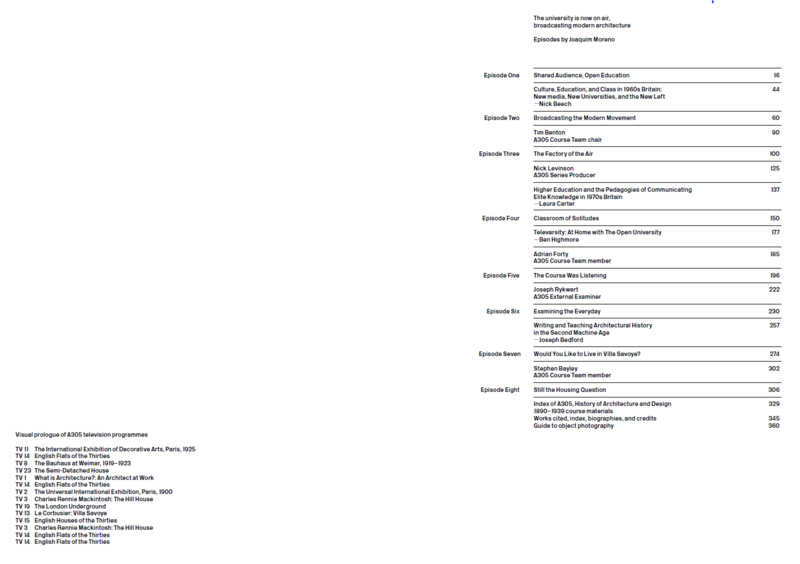 « 50 objects for 50 years. No 3. Hats off or full board? 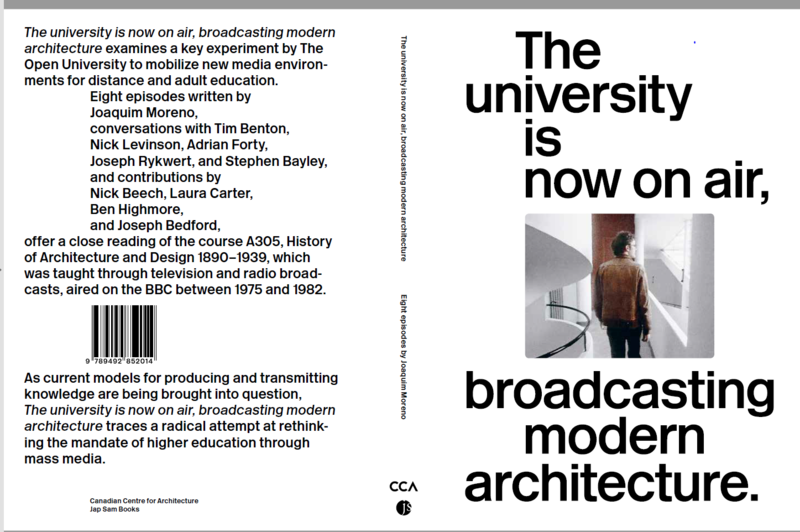 This new book, The University Is Now on Air: Broadcasting Modern Architecture explores the Open University as a critical point of convergence between mass media and mass education. The book focuses on the module (course) A305, History of Architecture and Design 1890-1939, as a reference point for current discourse on open-source and online educational models. 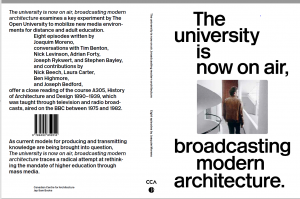 Different aspects of A305 are analysed and there are conversations between Joaquim Moreno (who curated an exhibition ‘The University Is Now on Air: Broadcasting Modern Architecture’) and central figures involved in the creation and production of the course. These are Stephen Bayley, (interviewed here) Tim Benton, Adrian Forty, Nick Levinson, and Joseph Rykwert. There are also essays that frame broader questions of architectural historiography, media history, and the pedagogical and political circumstances of the period. These are by Joaquim Moren0 who has previously considered A305, see here. On the exhibition see here and here. It is reviewed as an ‘alternative history of the modern movement’, here. The A305 Course Chair recalled that the teaching materials included 24 television programmes, 32 radio programmes and a Radiovision Booklet. He has assessed the course here and here. The book is a co-publication with Jap Sam Books, designed by Jonathan Hares (Lausanne and London). This entry was posted on Wednesday, May 9th, 2018 at 2:29 pm by Daniel Weinbren	and is filed under BBC, Higher education, television. You can follow any responses to this entry through the RSS 2.0 feed. You can leave a response, or trackback from your own site.